Relive the glamour and intensity of the disco era with the Disco Flyer! Keep the beat with high energy colours that mirror the music you love. 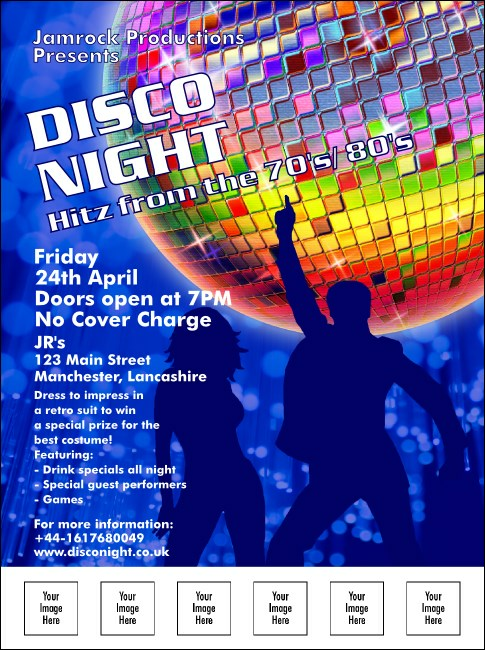 Throw a disco party and dance all night long with fully customisable Flyers that allow you to upload six of your own images or business logos right to the template. Express yourself in living colour with matching event kits from UKTicketPrinting.co.uk.